I thought I would share a couple of my own recent Mother's Day projects before the big day. First is a Creative Memories layout. No matter how old I get, I will always need my mom. She is an amazing woman full of compassion, intelligence, and kindness. She has triumphed in the face of great challenges that would have left many others emotionally and spiritually crippled. I have learned profound things from her. I love her so much. When CM assigned me a Mother's Day layout, I knew there were some deep feelings I wanted to record. I chose this photo from our last family reunion, and included some very personal journaling on a hidden tag behind the photo mat. For a full supply list and instructions CLICK HERE to go to the Creative Memories Project Center. I love the colors of the Hummingbird papers--so light, feminine and pretty. And the fun Enchanted embellishments complimented the papers so well. I love the stability and contrast that the pops of black provide. Fun page! 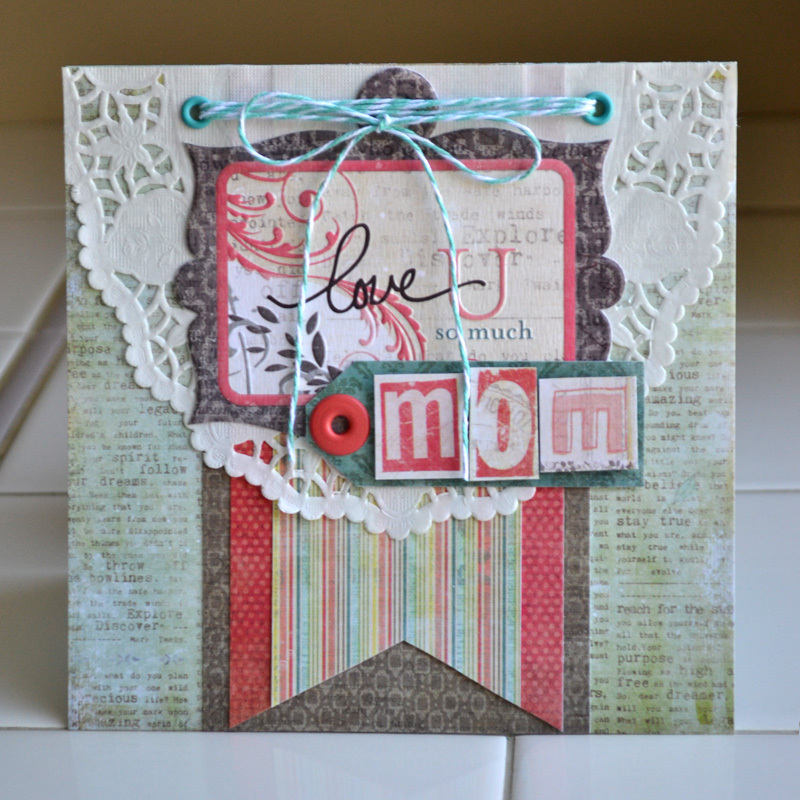 Next is a Mother's Day card featuring the new We R Memory Keepers Anthologie collection. I am in love with this new collection! I love the colors, the vintage text, and the paper doilies...yum! It's also such a versatile line. Love that. Hope these inspire you to create something wonderful for Mother's Day! Happy crafting!